Kosatka has been fighting a growing threat from so-called rebels--who are actually soldiers from aggressive colonies. 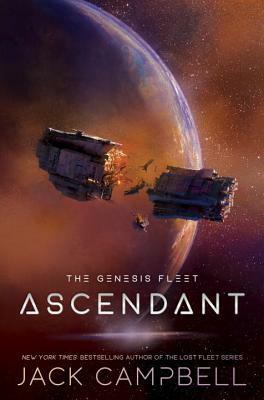 When a "peacekeeping force" carrying thousands of enemy soldiers arrives in Kosatka's star system, the people of that world, including Lochan Nakamura and former "Red" Carmen Ochoa, face an apparently hopeless battle to retain their freedom. "Jack Campbell" is the pen name of John G. Hemry, a retired naval officer who graduated from the U.S. Naval Academy in Annapolis before serving with the surface fleet and in a variety of other assignments. He is the author of the Lost Fleet and the Lost Stars series as well as the Stark's War series, the Paul Sinclair series and the Pillars of Reality series.